Your video was creative and original. You should be proud. I enjoyed it thoroughly. You will make a dandy meatiorologist some day! 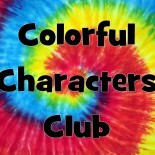 This entry was posted on February 10, 2014 by colorfulcharactersclub and tagged family, friends, fun, kid, kids, seasons, teen, teens, Tween, tweens, weather.